So what is common between Anil Kapur? 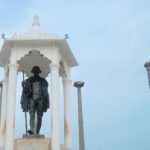 Mahatma Gandhi & Poet Sumitra Nandan Pant? Well, they all have a connection to Kausani a small sleepy hill town in Uttarakhand. 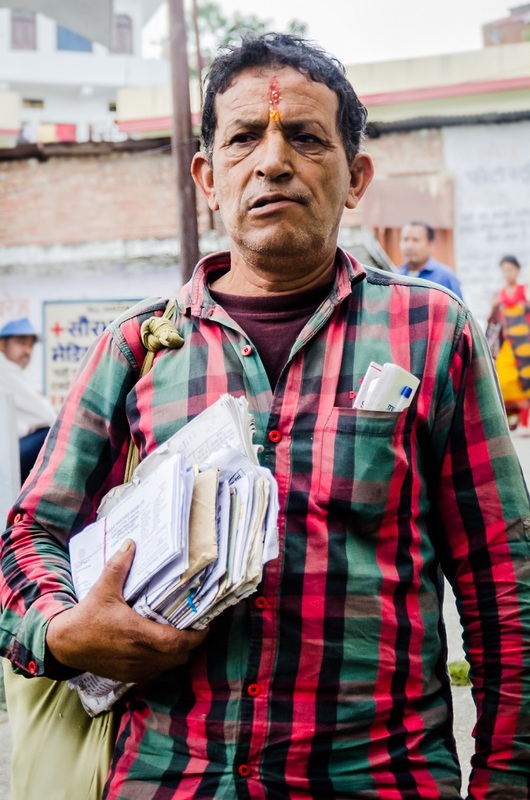 Though I am not sure if Kausani is a small town or a large village, with a population of less than 3 thousand, Kausani has fewer people than the housing society I live in. And that is where lies the time-warped charm of Kausani that offers you unobstructed views of snow-clad peaks, leisurely treks in the forest that are fragrant with mountain air and a charming town that ends as soon as it begins leaving you longing for more. I have been to Kausani earlier but mostly focused on trekking and clicking photographs of the natural beauty of this charming hill station. 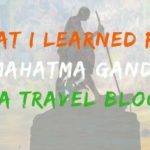 This time thanks to the Uttarakhand Tourism who have invited me to be part of Bloggers Bus, I got to explore other aspects of Kausani that I was totally unaware till now. Not only I visited Kausani once again but we also visited some nearby places that you can visit while keeping Kausani as your base. What is special about Kausani? On the face of it Kausani may appear like a typical small hill station in Uttarakhand but if you decide to go only one more layer deep you will realize this small town has had its fair share of tryst with the history of India with none other than Mahatma Gandhi, visiting Kausani and charmed by the beauty of Kausani the Mahatma called Kausani the Switzerland of India. Besides the freedom history, Kausani is also the birthplace of one of the most prominent Hindi Poets Sumitra Nandan Pant whose poetry still inspires and then let us not forget Bollywood with the movie “1942 A Love Story” having Kausani at its core. 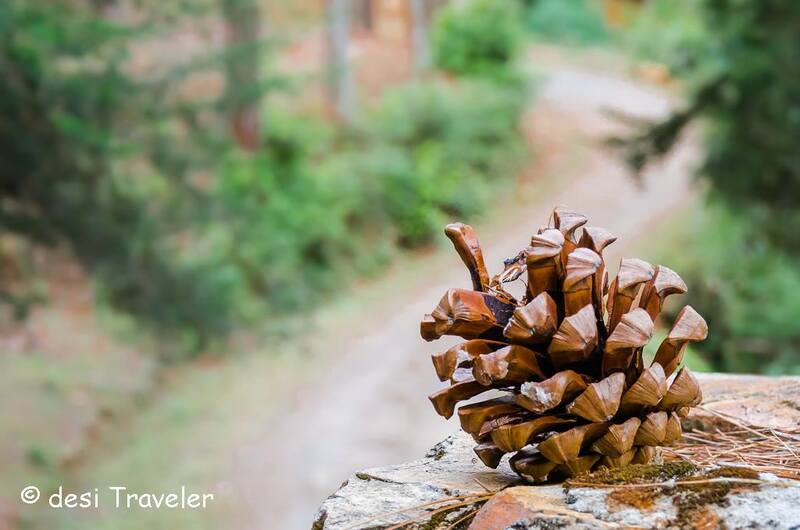 All this over and above the natural beauty that surrounds Kausani, from whispering palms in the dense forest around Kausani where you can go for leisurely walks and you will be caressed by fragrant mountain air, as you both wild, as well as introduced flowers, greet you with big smiles. 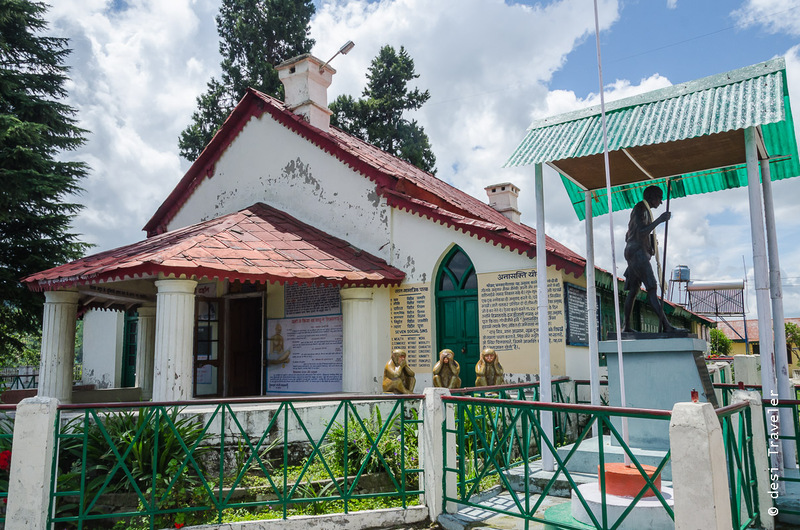 Anasakti Ashram in Kausani is where Mahatma Gandhi stayed for 2 weeks in 1929 and the natural beauty of Kausani was such that even the Mahatma was impressed, and he called Kausani the Switzerland of India. The Ashram situated in a quiet part of Kausani on top of a small hill offers panoramic views of the mountains and the valleys around is perfect for somebody looking for a peaceful place to just sit relax, watch mountains or read books related to Mahatma Gandhi and Indian Freedom Struggle in the Ashram Library. The Anasakti Ashram also has the residential facility and you can stay in the ashram and participate in the daily routine of Ashram like prayers etc. 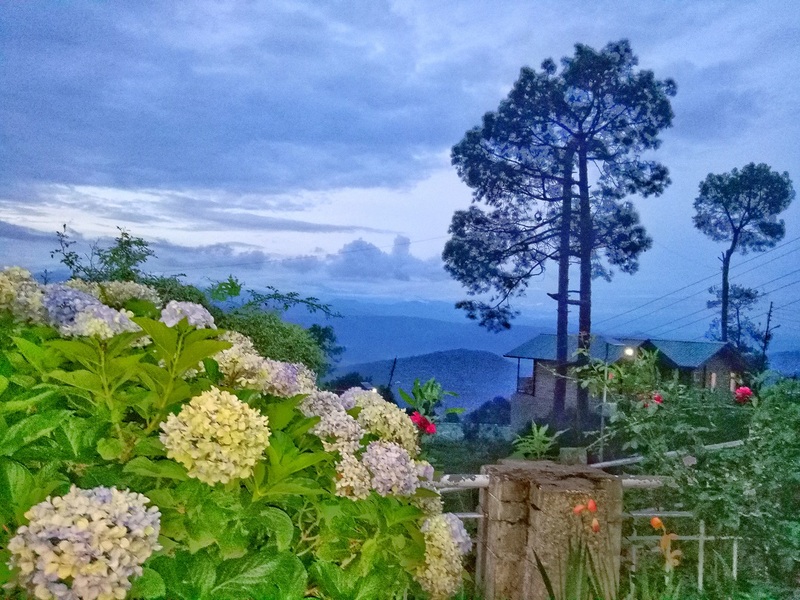 As the Ashram has panoramic views it is a perfect place in Kausani to capture the sunrise and sunset. 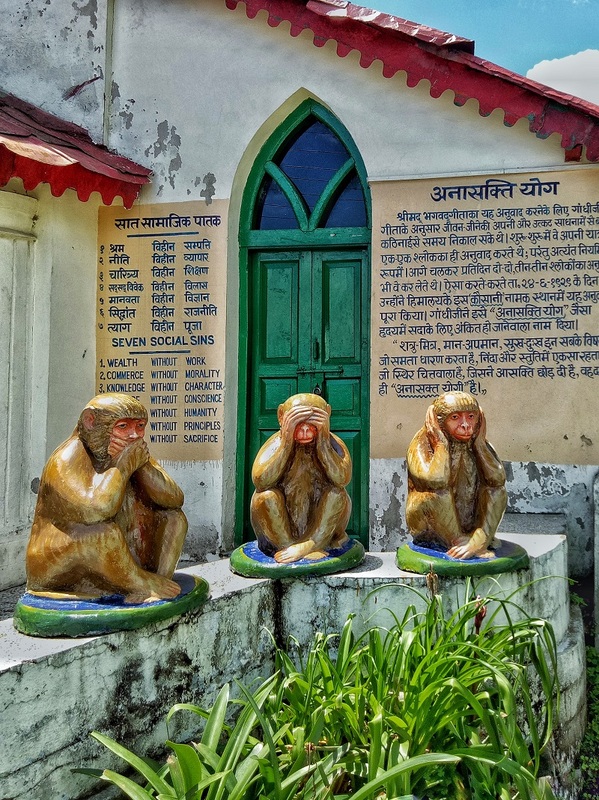 Bapu Kay 3 Bandar – The 3 Monkey’s of Mahatma Gandhi – Do you remember the story behind these monkeys? 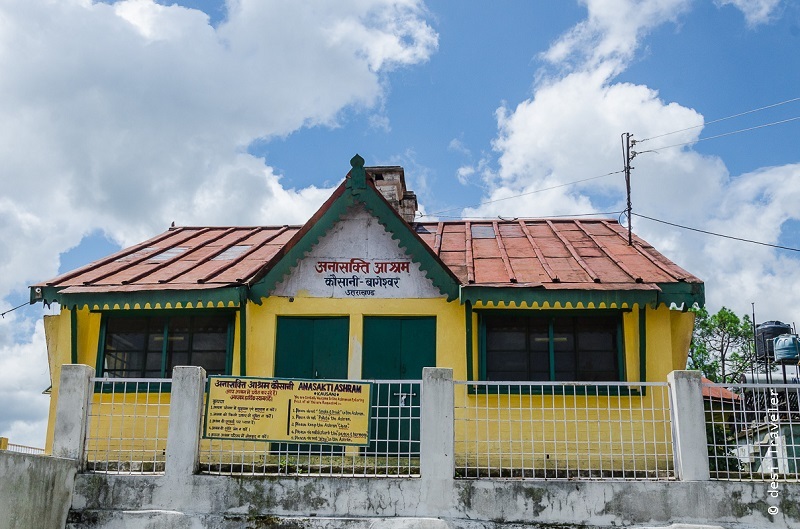 Kausani’s claim to fame to Indian poetry comes from the famous poet Sumitranandan Pant who was born in Kausani and spent his early years here in the town. 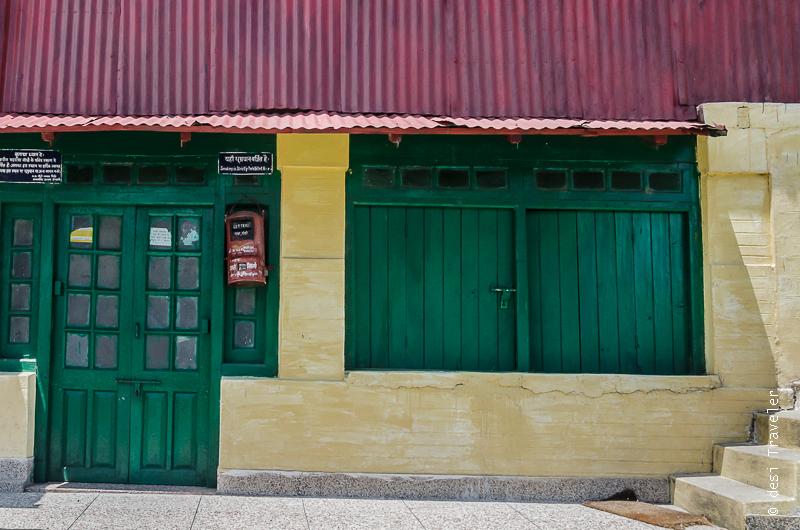 His ancestral home is now a museum celebrating his life and poetry. I must say I was impressed by the simple yet very well kept museum and library. Part of the credit goes to the government and part of the credit must go to the locals who take pride in the fact that one of the prominent Hindi poets was one among them and it is not uncommon to find locals visiting the museum library to read a book, something that is now so rare in big cities. 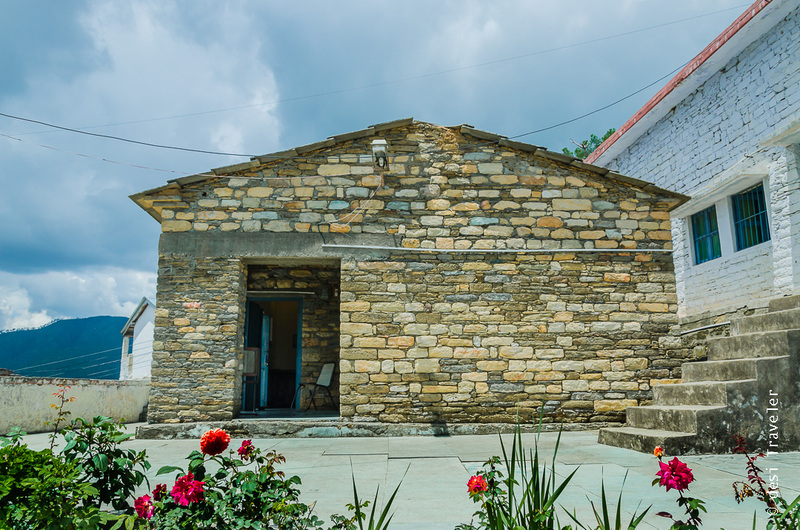 The museum is right in the middle of Kausani Bazaar and you can ask anybody about it and the locals will proudly guide you to the museum. When you are in the Kausani Bazaar ask for the Kausani Shawl Factory and you will be guided towards the factory where locals make shawls and other useful products used by hill folks. You can see the making of shawls, durries, sweaters, caps, and other products. You can buy these local products at affordable price and carry some back as a gift for your dear ones. I am all for buying souvenirs that put back the money in the local economy and these handmade woolen products from Kausani Shawl Factory totally fit the bill. 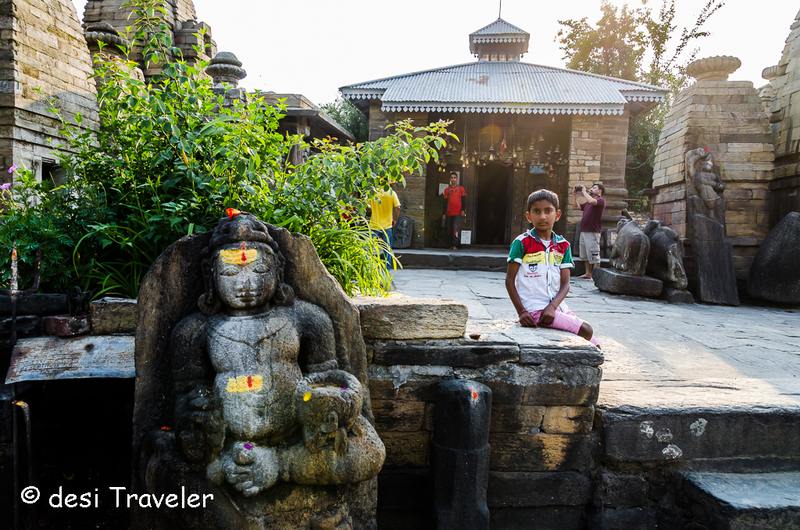 Only about 16 KM from Kausani town on the way to Bageshwar you will find the historical Baijnath Temple complex. Dedicated to Lord Shiva this is a complex of many small and big temples with the main temple still worshiped by locals and visitors alike. The temple is on the banks of the Gomti river and a perfect place to take a short break when you going or coming from Kausani. 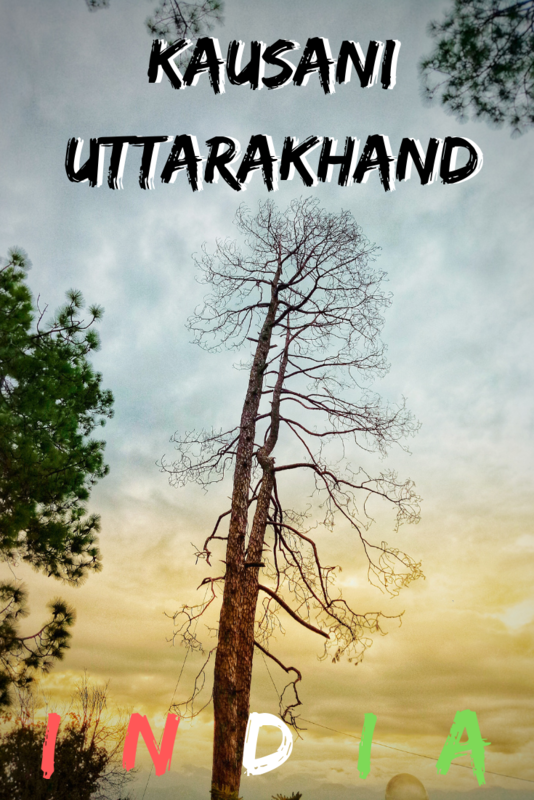 My earlier post about Uttarakhand had the Baijnath Temples as the cover photo, but I plan to write more about the same in sometime future. Best way to reach Kausani is via self-drive car or Taxi. Kausani is about 420 KM from Delhi NCR and it should take you around 10-12 hours depending on traffic by driving. If you want you can break your journey on the way as there are many picturesque places on the way to Kausani and depending on the route taken and time you start your journey you can take a call. You can do overnight stay in Naukuchiatal, Bhimtal or Nainital if you don’t want to drive at a stretch. The nearest big town to Kausani is Almora about 52 KM away and if you want you can also stay there and make a day trip to Kausani, but to really experience Kausani I would say you stay in Kausani and enjoy the slow pace of things. If you want to go to Kausani by train then the nearest railway station is Kathgodam where you can reach by overnight train from Delhi and then take a taxi to Kausani. The nearest airports are Pant Nagar and Jolly Grant in Dehradun. 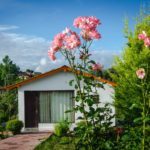 There are hotels/guesthouses for all budgets in Kausani, but in my opinion, you should first try the KMVN Tourist Rest House for the best view and great location. 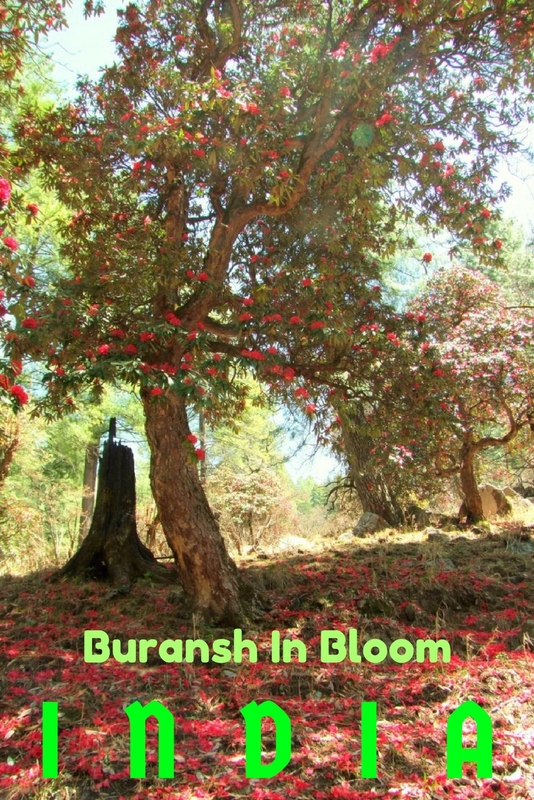 I have also stayed in past in The Buransh, and it is also a good option. Besides these, you can get hotels guest houses for all budget. It is a good idea to book in advance during peak season. Anytime from February to July is perfect to visit Kausani, I would suggest avoiding the rainy season and then you can visit again anytime after September. 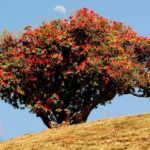 Here are my suggestions for the best time to visit Kausani > To see the flush of Rhodendron flowers visit in April / May types. To enjoy unobstructed views of the mighty peaks visit after monsoons as you will be rewarded with a clear view of the snowclad peaks like Trisul, Nanda Devi and Panchchuli. In all honesty, given a choice, I would love to go to Kausani again and again as it is easily one of my favorite places in Uttarakhand. Kausani seems to have a cool rustic charm to it.